The Friends of Scadbury Park are committed to protecting the biodiversity and natural ecosystems and wildife habitats of #ScadburyPark and ensuring every visitor feels a sense of purpose and community, whether helping with the Friends or attending an event in #ScadburyPark. The Friends of Scadbury Park work to encourage, secure and promote the plants, animals and wildlife habitats and work to maintain an improve the biodiversity in #ScadburyPark while encouraging its use as a place for quiet, informal recreation, enjoyment and study and educating the public about the history, natural history and biodiversity of #ScadburyPark. Scadbury Park Nature Reserve lies on the eastern edge of Chislehurst, overlooking the valley of the River Cray. 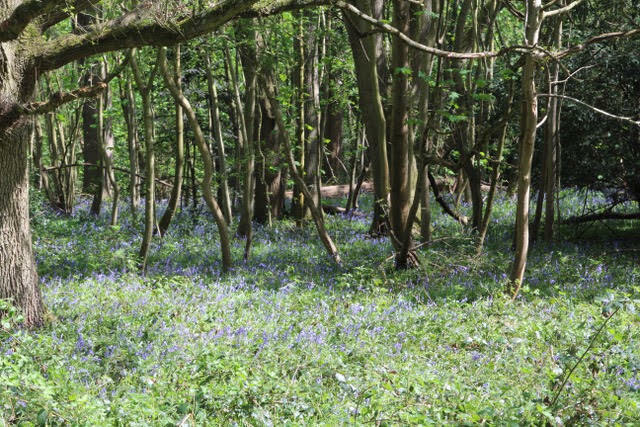 With over 300 acres of beautiful countryside to explore, it forms part of a wildlife corridor linking to open countryside from Jubilee Country Park through Petts Wood and Scadbury, along the London Loop. The Friends of Scadbury work to enable residents and visitors to enjoy this wild and natural haven. Please, come and join us! Please help support Scadbury Park by shopping online. Every time you shop, you’ll raise a free donation for Scadbury Park every time, it’s that easy! The friends group, formed originally in 2002, has recently been re-constituted in October 2014. There are over 150 members and supporters who are passionate about and support the Friends activities. Active work hours, event and administration hours in the year 2018 accumulated to over 1000. The Friends of Scadbury Park is a voluntary organisation and a registered charity in the United Kingdom with no paid or subsidised employees. The Friends of Scadbury Park are always searching for volunteers who are passionate about protecting the natural haven which is Scadbury Park. Signing up to our email communications is a free and easy way to show your support for The Friends of Scadbury Park. We respect your privacy. Data is held in accordance to GDPR. All free members of The Friends of Scadbury Park are able to volunteer as part of a instructed group. As a non-profit volunteer charity, all of our donations are from private entities. Donations can be made securely online. A beautiful mixture of woodland and meadow. Lots of gorgeous oaks. A great place for children, families and dogs. It has a wonderful history with the beautiful old remains of the moated manor house. We are lucky to have such a great core team. Come along to our workdays and you might be lucky enough to meet some of us! We are friendly, happy and all care about the responsible upkeep of the park. Join us today! Our resident bird, bee, pond and insect expert. He attends the workdays making sure that all the friends are doing their best to help bio-diversity in the park. Andrew is the site manager and is an expert with biodiversity and park management. He is employed by idverde. Vivien Smith is the Vice Chair of The Friends Group and manages our fundraising efforts. Elaine manages our workdays. Come along to meet her and help with our work in the park!